We want to share a great list of tools and tips for any non-profit that is trying to get things started. We are gearing this guide towards animal non-profits such as farm sanctuaries and vegan organizations but this can apply to nearly any 501c3 that is working towards building a better world. Google for Non-Profits: Google has one of the greatest tools for non-profits which gives a variety of tools for free. Sign up here first. Microsoft non-Profit Office 365 – Includes online versions of office, email(Microsoft Entourage Server) plus 1TB of online cloud backup for you and 299 of your other employees! Dreamhost: EASY, single domain/website. Dreamhost offers completely free web hosting for a single domain. You can learn more about their program here and create an account here. Windows Azure: ADVANCED SETUP, multiples domains for single non-profit. Up to $5000 of retail costs in online servers. This is by far the coolest program I have found to date, other then Google Grants which gives up to $60k/year in adwords advertising.. This is a very advanced setup so I would not recommend this for most non-profits unless they have a very tech savvy support. Wix: I do not support wix but they do offer a free with advertising option to non-profits. Please do not use wix and use one Dreamhost or Windows Azure. Webhosting Note: Based upon the fact that there is both Dreamhost and Windows Azure, no non-profits should ever be paying a penny for web hosting, if you are, please write us so we can assist with a migration. Tech Soup: Tech soup is a wonderful online resource with severely discounted tech software. Free Office 365 – Includes online versions of office plus 1TB of online cloud backup!!! Windows Azure – Up to $5000 of retail costs in online servers. Quickbooks – $50 for a single license or $125/3 licenses of Quickbooks for non-profits. They also have Quickbooks online for $50/5 users/year. 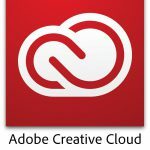 Adobe Creative Cloud – $20/month/2 computers for all of Adobe’s software: Photoshop, Illustrator, InDesign, Acrobat, Premiere Pro plus many more. Instead of the normal rate of $50/month you can get creative cloud for only $20/month. Adobe Acrobat – Are you needing acrobat to edit acrobat files? Adobe offers it for $55 instead of hundreds through Tech Soup. Windows for Pirated/Illegal Installations – Microsoft wants to help non-profits who may have had someone “install” a copy of windows but now they are saying they do not have a legal copy installed. For only $9/computer you can upgrade to a legal copy. 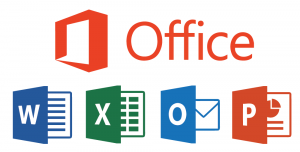 Microsoft Office – Office Standard is $29 and professional plus is only $40. One other thing they do not mention is that you get 50 seats/installs. Microsoft’s other software. – You can browse their large catalog of free and donated software. Netsuite – If you are looking for an ERP for a larger non-profit organization, Netsuite is one of the best options. This software normally costs $12k/year plus $99/user but through Tech Soup it only costs $300/year for 5 users. This should really help build and keep your non-profit organized. Comodo SSL certificate – You can purchase SSL certificates with your Azure funds but if you want to instead just buy one outside or you host elsewhere, you may purchase severely discounted SSL certs here. An SSL cert will both keep your site safe and also increase your rankings on google. They usually cost $50-100/year. So $25 for 3 years is insanely cheap! I have found a better SSL Certificate option which is listed below. Free SSL Certificates: Let’s Encrypt is a non-profit arm of the Linux Foundation. They are a Certificate Authority which provides free encryption certficates for websites to help keep our world wide web safe. This is such a great cause! You can get your free certificate here. I use this service on all of my web projects. I highly recommend Really Simple SSL, a wordpress plugin if you are using wordpress for your site. If you are on a windows server you may use this new tool Cerify, which is currently in beta. I have used it on this website and many others. It seems to be working great! The Let’s Encrypt Certificates require refreshing every 3 months. This tool does that job. I believe it happens automatically but you can manually refresh your certificates anytime using the tool. Although domain registers are not free, it is an important topic to cover. I have found many vegan and animal organizations registered with Godaddy. Godaddy CEO is a big fan of killing big animals so I have helped over 20 organizations transfer out of Godaddy over the years. I would say any register is probably better than Godaddy. At one point I had 30 domains registered at Godaddy. Never again! Namecheap is my favorite domain register. Namecheap provides great support when you need it and their rates are about 10-30% lower than Godaddy. For one of my clients, they were charged $40/annually for a .dog domain and with Namecheap it was only $28. .org registration is $2/year less at Namecheap. Google Ad Grants:Google gives away up to $10,000 in ad spend monthly to any non-profit. This really helps small non-profits grow. They do limit the cost per click to about $2. That should help the organization stay competitive with other for profit organizations. Amazon Smile Program: This program can provide a small, often very small stream of income for your organization. How it works is that your friends, family and fans can sign your non-profit as their smile organization and then when they shop on Amazon, Amazon will be giving .5% of their cart total for most of their items to you. It is pretty sweet 🙂 Sign Up here. Amazon Affiliate/Associates Program: This is actually a for-profit and non-profit tool . If you happen to have a blog or a place where you make recommendations for items of Amazon items then you can make pretty good money for those recommendations! Amazon affiliate pays between 4-12% of the cart total of items when people use your special affiliate links. Sign Up Here. I have to thank Rich Roll for this tip! If you are wanting a life changing podcast, check Rich’s out! So What options are there for non-profits when it comes to donations? Sadly there are almost none that do not take a significant percentage from the profits. I have thought about building a company for years to provide this service with little or no service fees. Transaction fees are required no matter what because credit card companies charge them. Currently there is only one real winner that offers both simple setup and low fees, that is Paypal. I know that the word paypal may conjure up many different emotions from people but this is our greatest tool currently for non-profits. They offer the very lowest rates and easy tools to get started. I do hope that someday there is an alternative so people have a choice. Paypal– Easiest: Paypal offers simple tools and charges a base of 2.2% for non-profits to take donations. This is probably the best deal online for processing. You do have to confirm your non-profit status to get this rate. Facebook Fundraising: Facebook has built in a great toolset for non-profits to build fundraising campaigns directly inside of facebook. Each organization has to pass a set of criteria but once that is done you can create go fund me like campaigns directly on facebook. Facebook charges only 2.2% + $.30 per transaction which beats everyone else in the list. Pretty cool. I look forward to seeing how they pan out over 2017. Google Wallet: If you are looking for a semi easy solution to receive payments to your non-profit you can use Google Wallet. It requires using a bank account or Debit card and then you can send and receive funds without any costs. The catch is that it does require the other party to setup Google Wallet on their device. I like the layout and it works great! Facebook Payments: Another easy and free option is sending and receiving payments on Facebook. This is not allowed for pages so you will have to use your personal account to do this. This is not the most professional option in the list but it does work very well. If you are receiving money you may add your company debit card to your personal page so the money will be deposited directly into your non-profits bank account. Just remember not to forget which card is connected in case you want to send/receive personal money from a friend or family. That is the original design for this system. Generosity: Indiegogo has launched a new platform just like Indiegogo but it is designed for good causes instead of self interest and for profit projects. They still do charge the 3% transaction fee but there are no program fees! YES!!! The most economical system I have found so far is called Brown Paper Tickets. This company has removed the organization fees and solely charges the credit card processing fees instead. They obviously are making some money off of the credit card processing but this is definitely much cooler than the countless companies who charge 2.5% or more on top of credit card fees. Youc an see their fee structure here: Brown Paper Ticket Fee Structure. They also even offer free shipping of paper tickets if you want them for your event. There are no great options in this option but of the choices, Razoo seems to be the okay. The minimum fee is 4.9+2.0%(Razoo). Here is a table of options built by Razoo.